Sean J. Rogers - Mediator & Arbitrator based in Leonardtown, Maryland. Sean J. Rogers is an attorney with more than 30 years experience in the public, federal and private sectors. He has mediated and arbitrated hundreds of disputes, including complex interest-arbitration cases. His experience encompasses labor and employment cases in all sectors. He has published awards in the airline; railroad; health care; pulp and paper products; manufacturing; packaging and container; communications; and police, fire and corrections industries. As a mediator in public education (K-12) contract disputes, he has resolved numerous bargaining impasses. In the higher education field, he has successfully resolved complex and demanding disputes between college and university administrations, and the institutions academic, administrative and clerical staffs. In the commercial sector, he has extensive mediation-arbitration experience in banking and credit disputes, mergers, partnership dissolutions, bankruptcies and executive successions. He has successfully mediated civil, commercial, and banking and finance disputes involving millions of dollars. Sean J. Rogers has represented unions and management. His bilateral experience includes serving as labor counsel and advisor to county executives on labor/employee relations matters, serving as National Director of Labor Relations for the Internal Revenue Service, and serving as National/General Counsel to two national labor unions. He was responsible for administering the labor/employee relations, training, compensation and benefits programs for a county government with more than 7,000 employees. 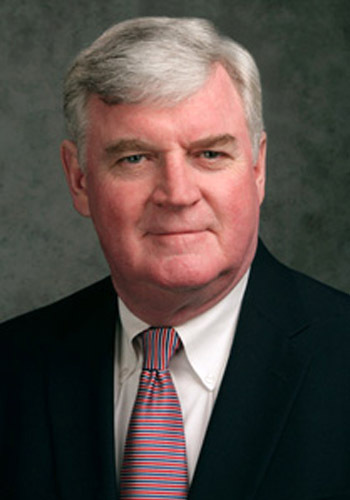 His experience as a neutral includes serving as Senior Counsel and Senior Hearing Officer to the National Mediation Board overseeing and supporting labor-management relations in the airline and railroad industries. Mr. Rogers maintains a second office at 8716 Fulton Street, Metairie, Louisiana 70003-5206 and he is listed with the FMCS in the agency's New Orleans region.